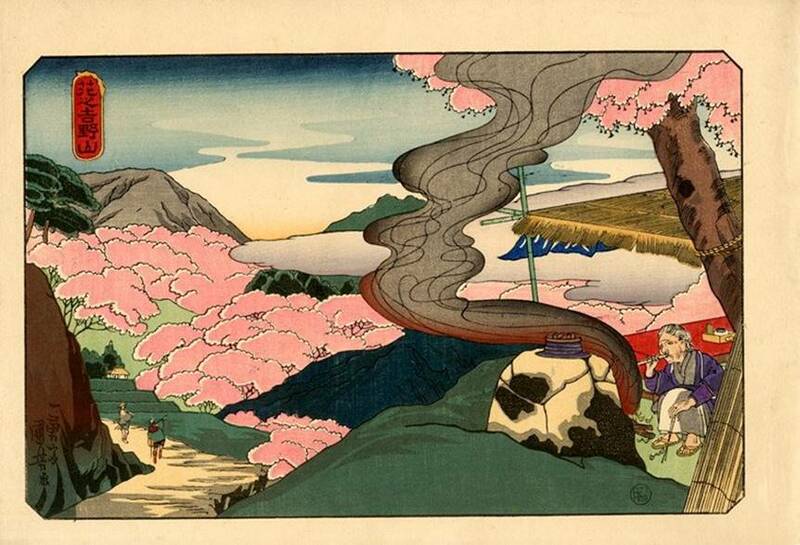 Based upon the signature and stylistic considerations, this series of prints was designed by Kuniyoshi about 1839-1840. 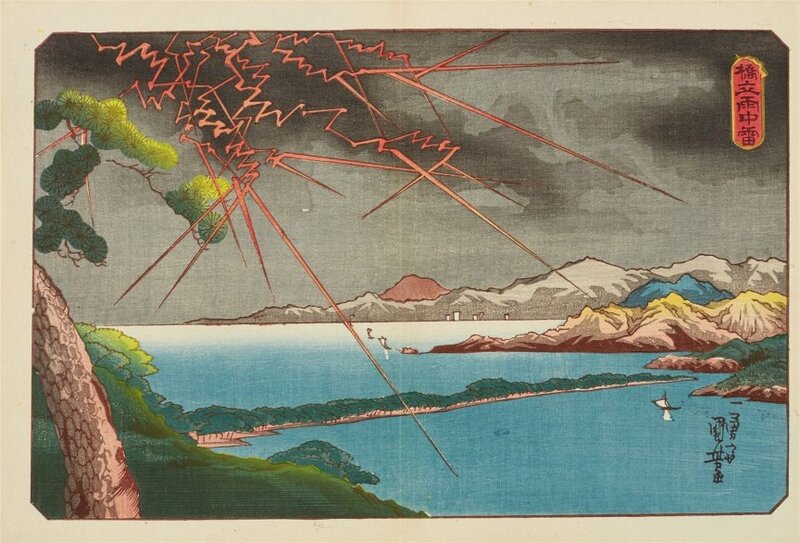 However, it was not published until the early 20th century and contains a synthetic red ink that was not available in Japan during Kuniyoshi’s lifetime. 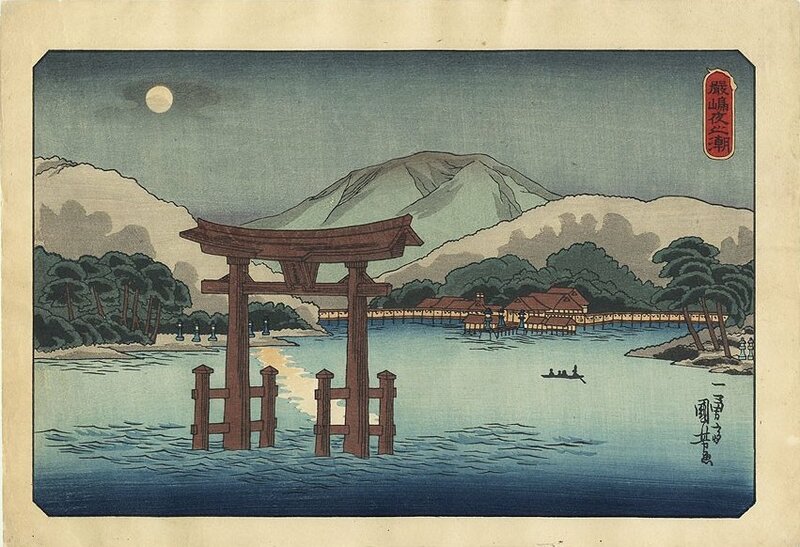 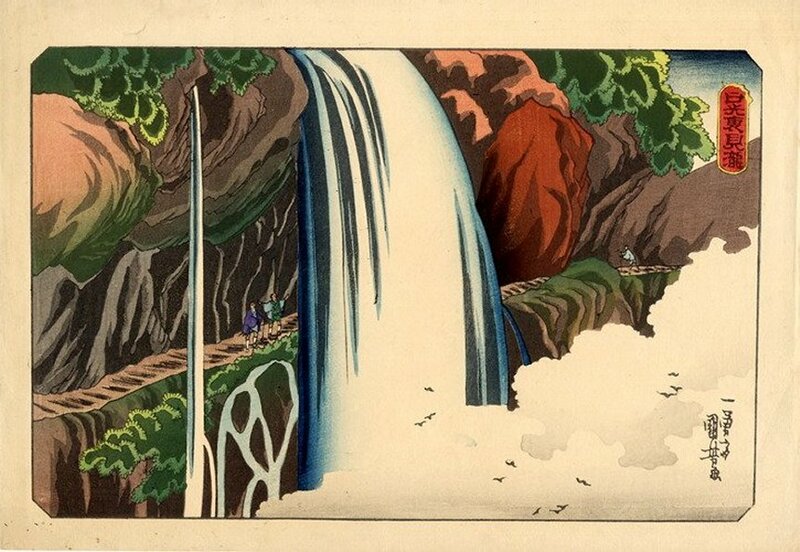 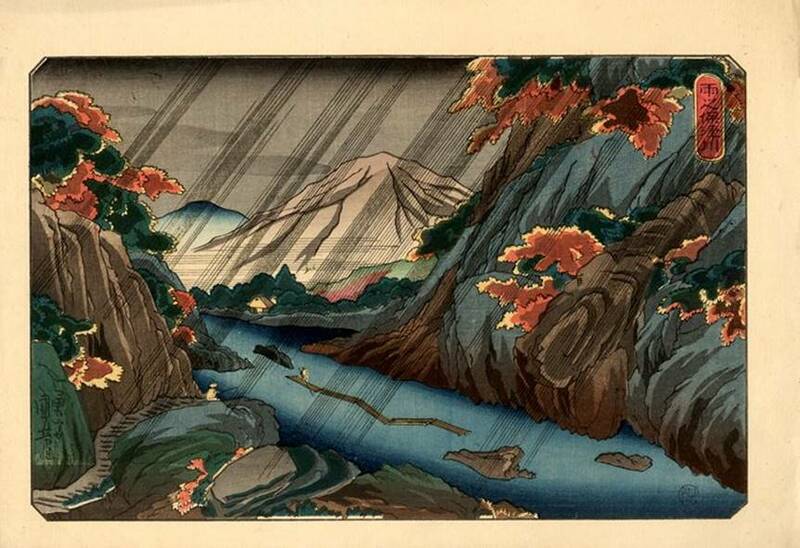 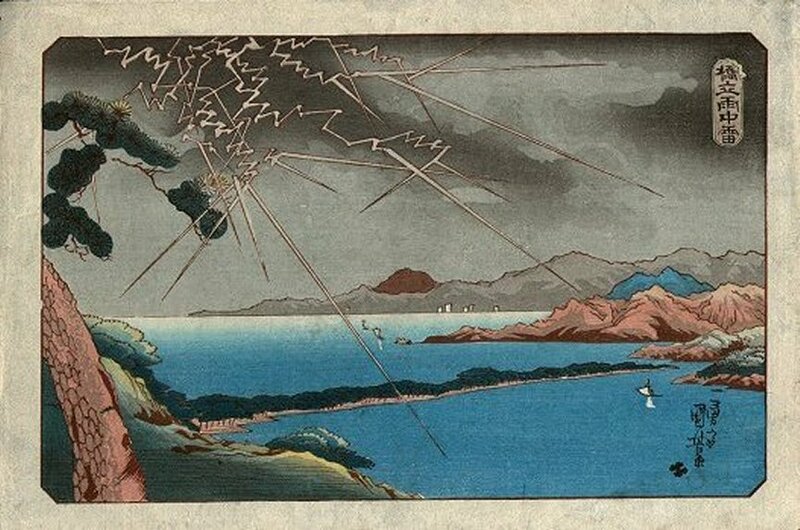 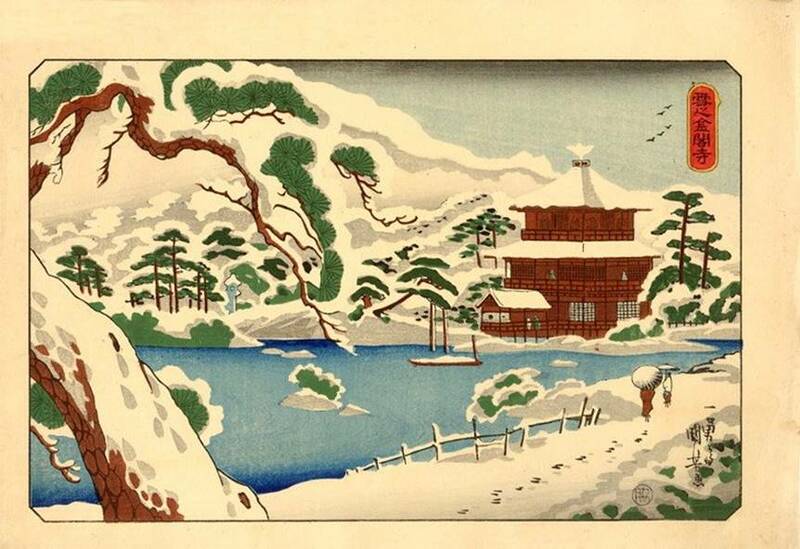 The authenticity of woodblock prints comprises a spectrum ranging from first editions designed and printed entirely by the artist or under the artist’s supervision (rare in ukiyo-e); through later printings from the original woodblocks; to reproductions of previously published works from re-carved blocks or by other means. 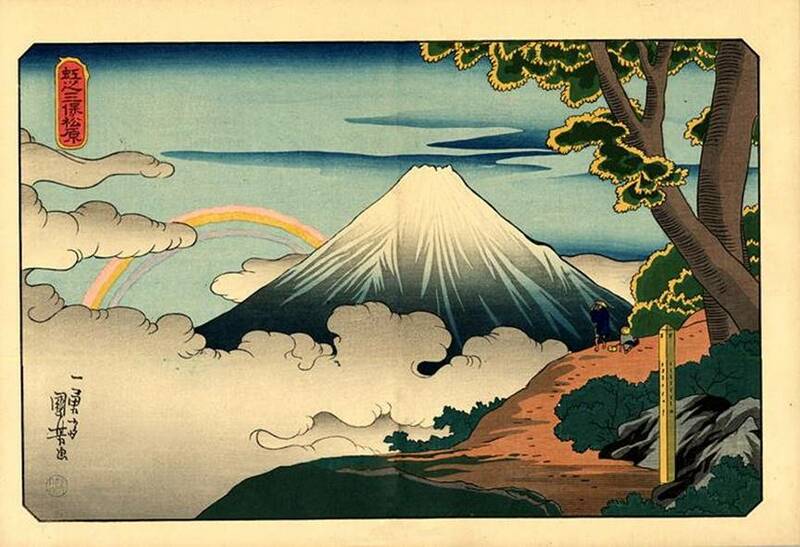 This series of prints falls somewhere near the middle of the spectrum. 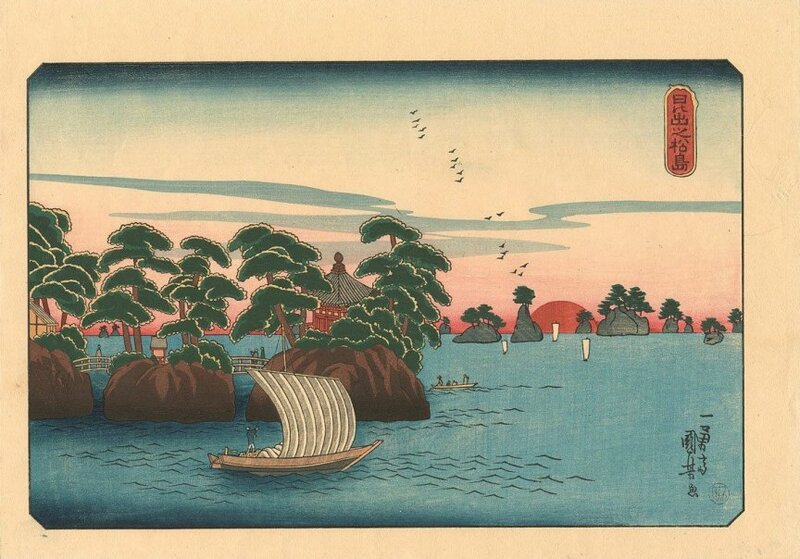 Since Kuniyoshi intended his drawings to be used to make woodblock prints, the printing technique is of the type he would have intended, and no earlier editions exist, these prints have a greater claim to authenticity than posthumous reproductions of extant works. 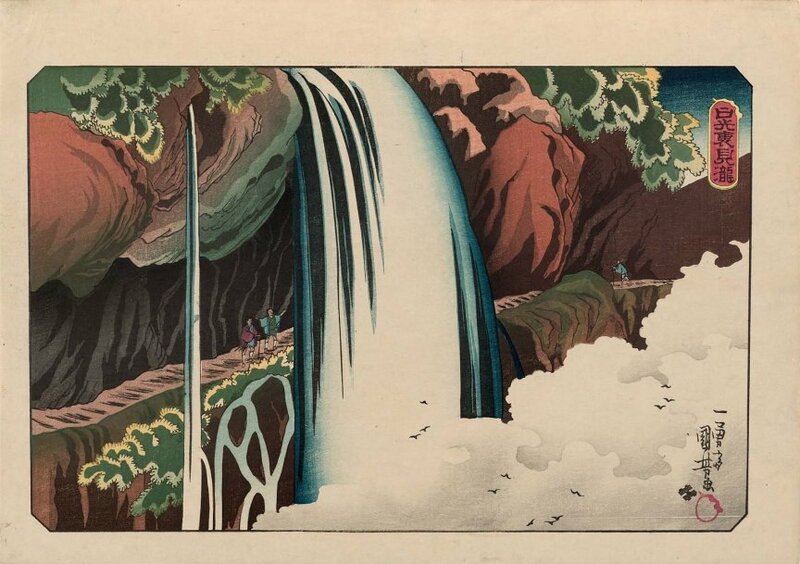 The prints in this series are each about 10 by 14 inches (25 by 36 centimeters), a size known as ôban.